ABSOLUTE PRIDE OF OWNERSHIP AND LOCATION, LOCATION, LOCATION! Looking for a move in ready home in the perfect place? 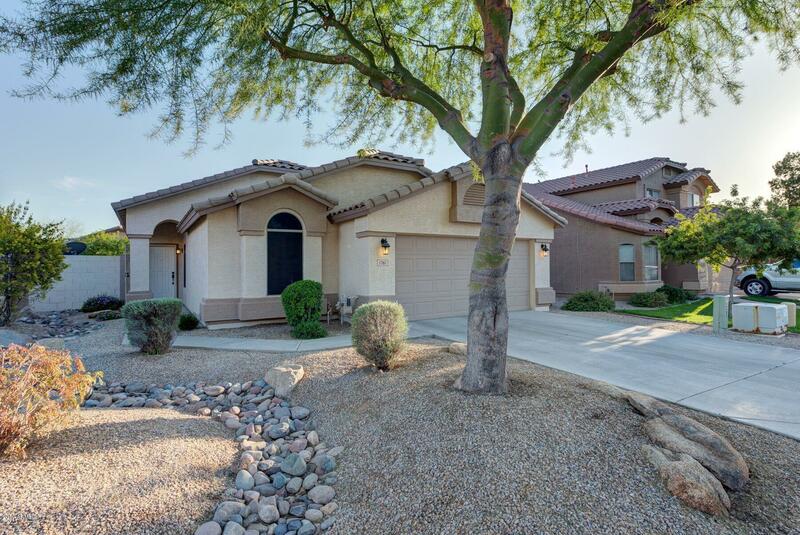 Then this immaculately maintained home in desirable Gilbert Ranch is a MUST SEE! Bright, open, split 3 bedroom floor plan, huge great room, vaulted ceilings, plantation shutters, tile throughout the living areas, new stainless steel appliances, updated AC, new water heater, lush green backyard with extended paver patio, and much more. Minutes away from San Tan Village shopping, freeway, restaurants, schools, etc. Tremendous value for this area and won't last long. Put this one on your must see list today!!!!! © 2019 Arizona Regional Multiple Listing Service, Inc. All rights reserved. All information should be verified by the recipient and none is guaranteed as accurate by ARMLS. Information deemed to be reliable but not guaranteed. Real estate listings held by brokerage firms other than Berkshire Hathaway HomeServices Arizona Properties are marked with the ARMLS logo and detailed information about them includes the name of the listing brokers. Listing broker has attempted to offer accurate data, but buyers are advised to confirm all items. Only IDX residential listings are displayed on this site. The information being provided is for consumers' personal, non-commercial use and may not be used for any purpose other than to identify perspective properties consumers may be interested in. This site will be monitored for 'scraping' and any use of search facilities of data on the site other than by potential buyers/sellers is prohibited. Information last updated on 2019-04-22.